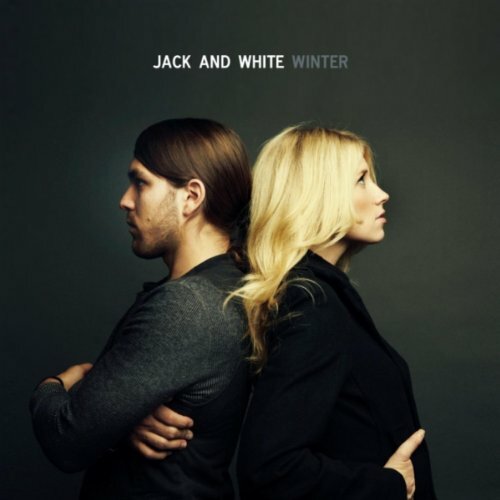 Jack and White return to the music scene with the release of their second EP Winter. Jack Matranga and Brooke White are doing things a little differently than most people these days. Instead of recording a new full length album every year or two, they have decided to release a new set of songs in EP format every 4-5 months. With the release of their first EP Gemini EP, only five months removed, the duo returns with four new tracks. The EP comes out at all major retailers on January 31st, but iTunes has it available for the first week at the low price of $2.99. The EP was recorded in Brooke's Arizona home and produced, recorded, and mixed by the duo themselves. It opens up with "Night After Night" which features lead vocals from both White and Matranga. It is the first song to feature Matranga in the lead vocal role and he does a good job. The song has a nice catchy vibe and sticks to the late sixties, early seventies feel they had in their first EP. Following up is "Bright Side of Bad News" which again features dual lead vocals. Their voices blend well together making a very pleasant listening experience. The guitars have a great seventies feel to it that have become the signature sound of Jack and White. It's a shorter song, but a very enjoyable song. Brooke White takes over the lead vocal duties again for the song "XYZ". The mix on the song is very interesting as the drum track is very light in the mix and on the right side only for the first two minutes of the song before going full. It gives the song a neat effect when listening in stereo or through headphones. "XYZ" is a strong song with a very Fleetwood Mac feel. The EP closes out with a very pretty song called "Voices." This song is easily my favorite of the album. Its soft, swee,t and just reverberates through your entire being as you listen to it. If you buy the EP on iTunes, it comes with a live acoustic version of "Telephone Games" recorded in Brooke's house last fall. A fantastic job was done by these two on this version, and I actually like it better than the album version from Gemini EP. What I really like about this album is not just the vibe of the music as mentioned earlier, but the use and placement of the OOOOs and AHHHHs in the album. Most of the songs have them and it just shows that sometimes a good melody doesn't need words behind it to make a powerful impact. Jack and White's music would have fit in so nicely with the era of Fleetwood Mac, Creadance Clearwater Revival, Joni Mitchel, and others of that time so well. It is nice to hear people bring that style back and do it well. White and Matranga have a knack for writing beautiful melodies and solid lyrics as well. If you are a fan of the music from the late sixties and early seventies, you will enjoy this album a lot. If you were a fan of Brooke White from her Idol days, you will be happy with what she has done since joining up with Jack Mantranga. I think if you were to drop $2.99 for this on iTunes you will not be disappointed at all, but get it now as it is only $2.99 the first week. Even still, the album is a good 15:05 of music that is worth a listen and many replays.